The Ruby Pardue Blackburn Adult Day Health Care Center provides a safe, home-like environment for adults, which cannot remain safely at homeduring the day, including skilled nursing care and activities that promote cognitive and physical abilities. Our ADHC Center is the only one located in Wilkes County, a population over 60,000 persons. We are happy we can help families and caregivers by providing an alternate solution to premature nursing home/assisted living placement and/or caregiver burnout. 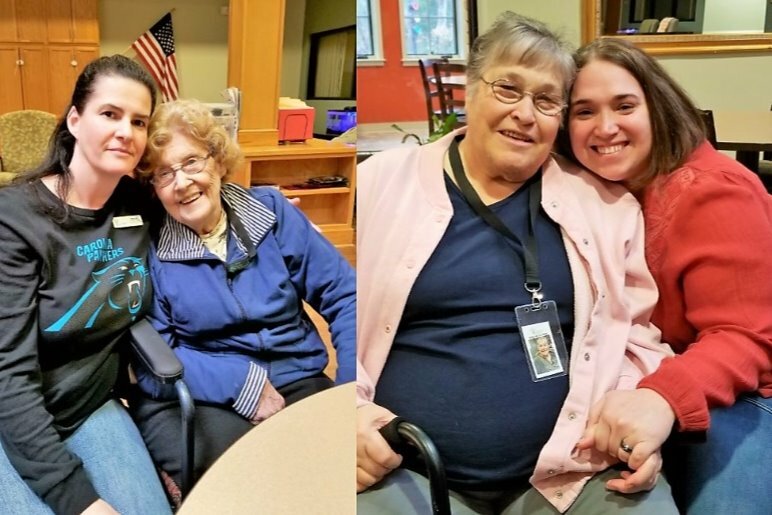 While many of the Center participants are elderly, the Center welcomes young and middle aged adults with developmental disabilities as well as those who may have suffered a stroke, traumatic brain injury or early onset dementia. Currently in our ninth year of operation, we are at an all-time high with 59 active enrollees and a 34 average daily attendance. Of that 59 enrolled, 60% are 65 years of age or older, 37% have either a physical disability and/or are confined to a wheelchair, as well as, 35% who are diagnosed with some type of dementia. All of which live in the home with a spouse, family member or group home. Our professionally trained care team staff, along with our board of directors and management strive to lead in quality of Adult day Health Care services in Wilkes. We also strive to serve adults who qualify for Adult Day Health Services regardless of their ability to pay, through attainment of multiple revenue areas and a scholarship fund which is provided with funds by Anne Pardue & Family in Memory of Dwight Pardue, Sr., Kulynych Family Foundation, United Way of Wilkes and individual/business and community member contributions. Of our already 59 persons enrolled, 22% receive financial assistance through our Scholarship Fund.